In private label, there are generally two options for how to source your product. The designs are sold completed and you can just order the quantity/variations of the ready-made product from the factory. This option is less risky as you will already know the finished outcome but you also risk buying the same designs as someone else. The factory that will produce the items according to your specific modifications. Both methods will have a Minimum Order Quantity (MOQ) which is when you will need your negotiating skills. Your MOQ will differ according to your sales channels. Here’s an estimate of many SKUs you should produce with a manufacturer. For both sales channels, starting with 10-15 SKUs may seem like you’re undershooting, but keep in mind that producing one SKU will roughly take from one week to a month – including designing, production and testing. The range is enough to keep customers interested and still a safe number that won’t lead to a loss. Your depth of SKU should cover 3 key sizes and 2 colours for both channels – depending on the style. Not every SKU needs another colour or extra sizes, the key is to provide a good mix. The core difference between both sales channel is the piece per SKU. For e-commerce site and social media, 100 pieces per SKU is generally a good start. However, do keep in mind that some manufacturers have a set MOQ per size. For example, if you’re planning to manufacture sizes S, M and L, your manufacturer may request for 150 pieces for each size. That leads up to a total of 450 pieces. Your challenge here is to negotiate with your manufacturer to a number that you are comfortable with. For marketplaces, on the other hand, the optimum range needs to be lower. For one, there’s no guarantee that the marketplace will push your products extensively. Marketplaces also tend to delay cash flow, as payment is not instant. This affects the capital for your next collection, as well as buying processes. 50 pieces per SKU will be sufficient for you to test the market. Once you see results, feel free to raise the number. In comparison with the private label model, the minimum order quantity (MOQ) for resellers are relatively low. Depending on the suppliers, the MOQ can range from 10 pieces over various sizes per SKU or 2 pieces per size/SKU. There are also instances where you are free to purchase any SKU/size, as long as you meet the minimum value. This, however, may lead you to face a potential risk of high deadstock – if not monitored well. If you’re planning to buy say, 300 pieces per SKUs, cut it in half. Starting small will allow you to test the waters and once you’re seeing growth, amp it up. You can quantify by using your competitors’ sell-out SKUs. For example, Brand X, Brand Y and Brand Z have a range of 300 to 500 SKUs. 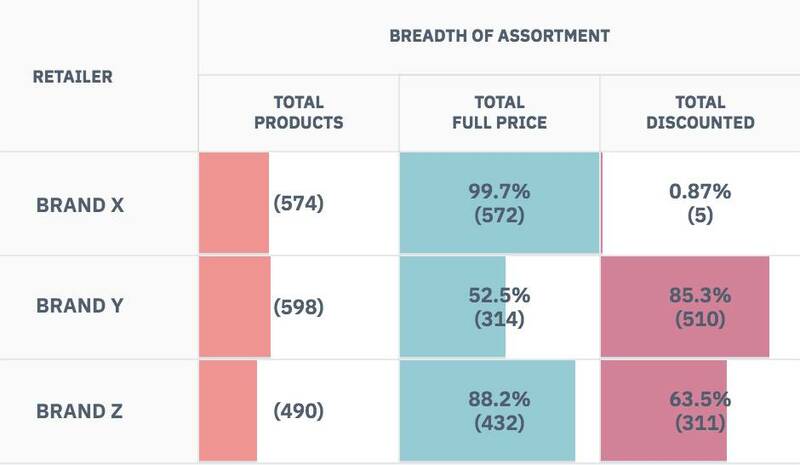 The total sell-out percentages here are fairly healthy but do note that brands Y and Z has put the majority of their SKUs on discount whereas brand X has a better understanding of what to stock, therefore, can achieve a high sell-out without discounting. From here, you can see how brand X stocks as a guideline. Since you’re just starting out (and your competitors have been in the market longer), you can opt for an SKU count just slightly below their sell-out number.